Chris is an award-winning producer, a nurturing and experienced instructor, an inspiring performer, and a gifted composer. Instruction: To provide excellence in music instruction so that each student may reach his or her fullest potential. Composition: To create music that is appropriate, motivational and inspiring. Performance: To provide a professional, inspiring performance to enhance each setting. Production: To design project constructs which integrate quality, technology and expertise. Chris Purcell is a seasoned and lively musician with a myriad of talents, ready to be unleashed on each project she undertakes. From cheerful and nurturing piano instruction to marketing and video production, Chris has the creative energy to make it happen. With experience in theatre, video, original composition, and with talented performance versatility, she has the background needed to provide all of these services with professional excellence. Add to this her passion and enthusiasm for her work, her talent, and her interest in her clients and students, and you have a dynamic, caring and memorable experience—whether sitting in her star-studded waiting room or attending your own wedding. As the founder of Anevon Music Productions, Chris Purcell has been a music industry leader for more than 15 years. She is pianist, vocalist, producer and recording artist. She has extensive experience in composing, arranging and producing music of many styles, and has produced advertising, stage productions and recording projects. She is a wedding music planner as well as performer. Chris has more than 14 years of experience as a college level music instructor. As a private studio instructor, she specializes in piano, voice, improvisation, composition and theory. 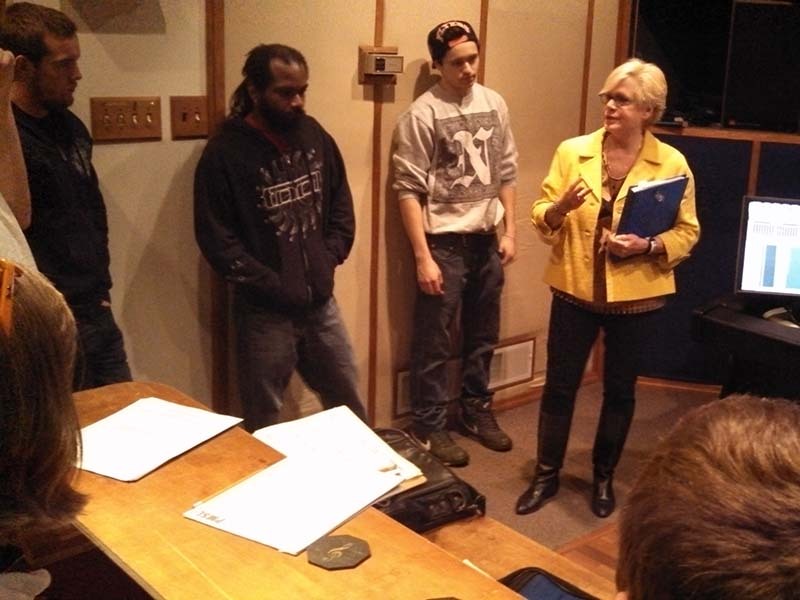 Chris also serves as Curriculum Advisor for Music Industry and Technology at the Harrisburg Area Community College. Voice, Piano, Vocal Coaching, Song Writing, and Theory. Mission: To provide excellence in music instruction so that students may reach their fullest potential. 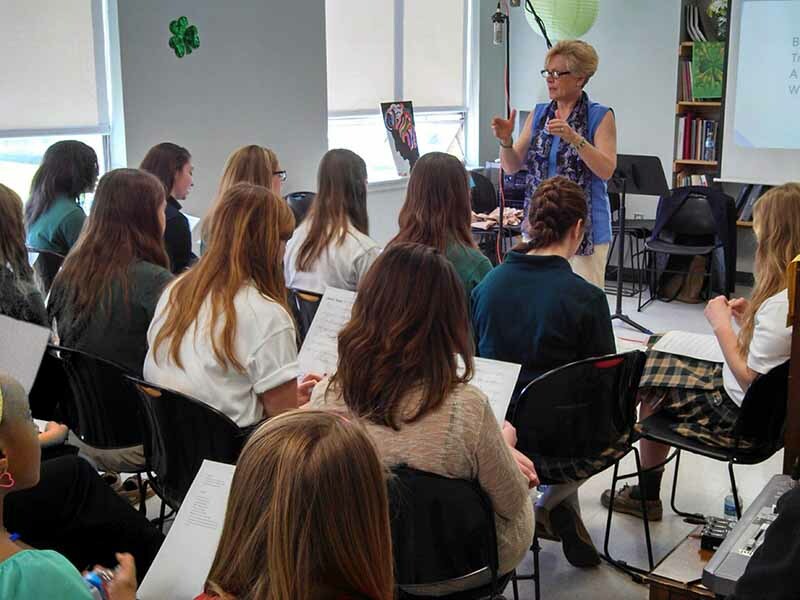 Chris Purcell provides excellence in music instruction in a nurturing environment. Recognizing each student’s ability, teaching strategies are adapted to assist in individualized learning so that students may reach their learning goals. Chris’s personalized and engaging style encourages younger students to be enthusiastic and joyful while experiencing musical development. Her professional and dynamic approach helps adult students to improve and enjoy their musical experience, whether their goal is a higher professional level or is simply to learn about and enjoy the world of music. Individualized lesson instruction fee is $23/half-hour and $46/hour. Lesson length is determined by teacher and student, and may vary, depending on age and desire. 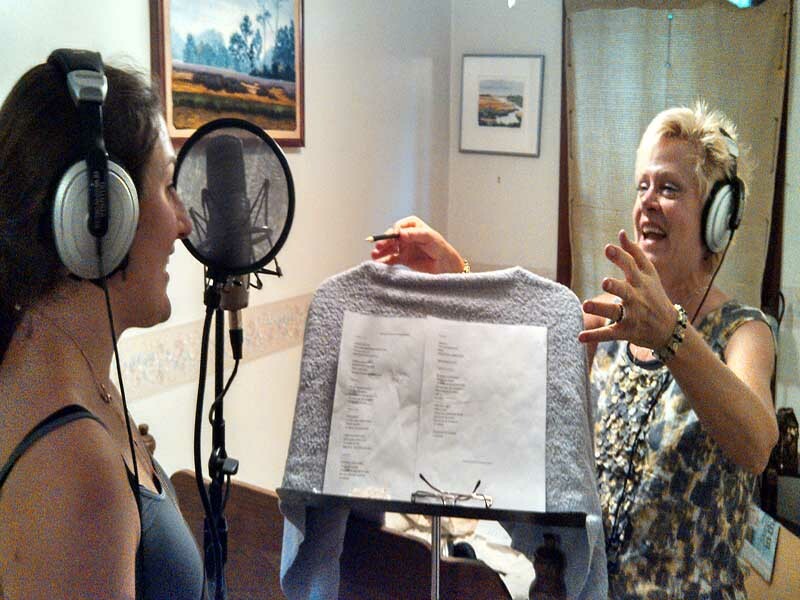 Group lessons, band vocal coaching and other group instruction is $55/hour. Please contact Chris here for more information. Mission: To entertain with the highest level of musicianship to enhance each setting. 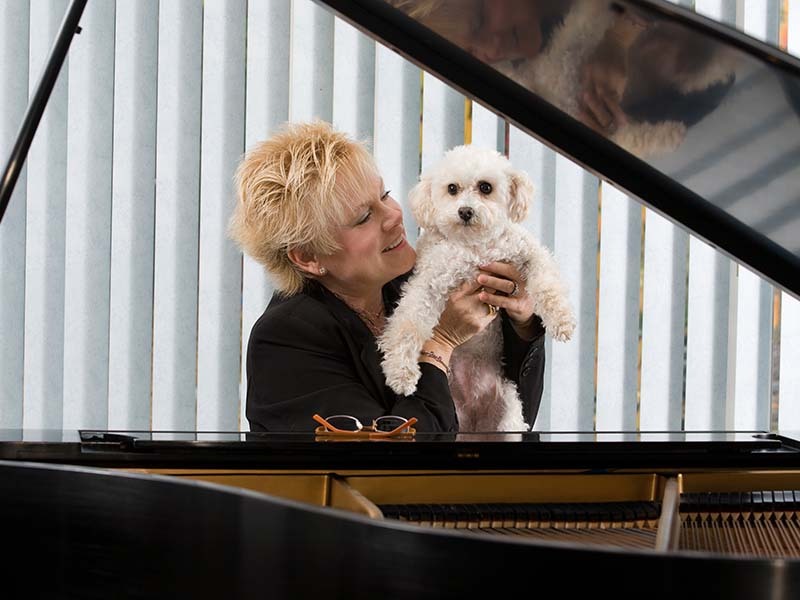 As a pianist and vocalist, Chris performs as a soloist and with groups of some of the finest musicians in Central PA. She has appeared at many weddings and corporate events and in 2004, she performed for the President of Kosovo at the request of Lieutenant Governor Catherine Bake Knoll. Performing as a solo pianist, vocalist, or with the jazz-pop band Chris P and the Critters, Chris will enhance your cocktail party, corporate event or private function. Chris is not only a performing musician for weddings, but is an accomplished wedding music planner. Contact her to find out how she can make your wedding especially memorable. Live music creates the ambience you want for your rehearsal dinner and other wedding parties—from a musical backdrop to your cocktail and dinner hours to engaging music for sing-alongs or entertainment. From ceremony to celebration, Chris can provide custom selections for your special day. Sacred and popular repertoire for your ceremony, and music for your reception can make your day even more special. Live music provides dinner ambiance, opportunity for dancing, and a backdrop for your cocktail hour. Fees vary per function; please inquire. Reserve now for your wedding, rehearsal dinner or party. Please contact us at (717) 737-2232 or fill out the contact form at the bottom of the page for a free consultation. Mission: To design project constructs which integrate quality, technology and expertise. As a studio recording artist, Chris produces music while utilizing the highest quality technology. Working collaboratively with Jay Kirssin of Downtown Sound and Joe Trojcak of Progressive Enterprises Chris produces music for both small and large productions. Chris has produced and performed children’s entertainment, recorded and composed theme songs for the productions both with her own voice and using the voices of children. Her ability to work with children to meld voices, narration, using original and traditional music, has been successful in a number of children’s productions. She has been actively involved in creation and development of music for television and radio advertising, including their performance and production. She has created the lyrics and music, recording and producing them for numerous advertising accounts. This versatility results in a far-reaching ability to work in a variety of settings, from creative to commercial, and genres, with participants of all ages. Mission: To create music that is appropriate, motivational and inspiring. As an award-winning composer, Chris Purcell’s music includes many genres and a variety of types of multi-media productions. Susquehanna Moon—music inspired by the natural settings surrounding the beautiful Susquehanna River in Central Pennsylvania. Into the Desert, A Musical Comedy—Chris composed and recorded 27 songs for the play’s score. This musical was performed at the Little Theatre of Mechanicsburg in 2001 for seventeen sold-out audiences. In 2005, the play was restructured and re-named Yard Sale, the Musical! It premiered as a staged reading/concert in Theatre Harrisburg Production Center in October 2005. Into the Desert—international award-winning full length musical for the stage. Eulogy for my father. Vocals: Chris Purcell. © 2014 Anevon Music Productions. All rights reserved. Design by WebStudio 24/7, LLC.